To understand more of the complexity, sixteen federated RD infrastructures (FRDI's) in the six Knowledge Exchange member countries have been interviewed, as a first step to get a grip on the phenomenon FRDI. 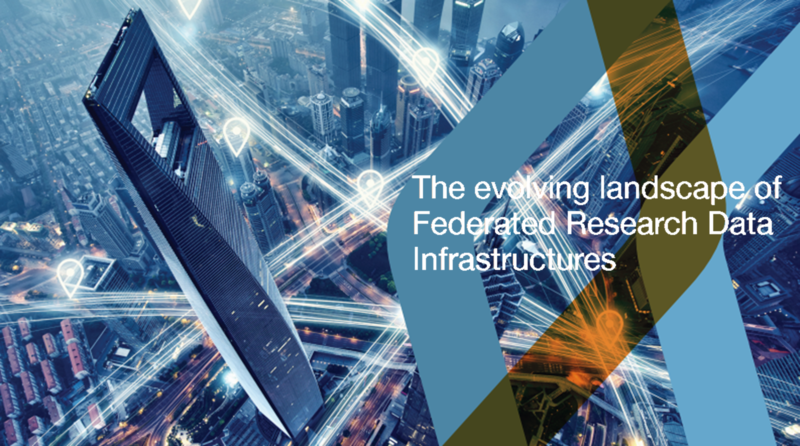 The responses have been analysed and outcomes are documented in the report ‘The evolving landscape of Federated Research Data Infrastructures'. The publication describes the situation in the six partner countries, and presents nine main conclusions on a variety of aspects. The report, written by Stephane Goldstein of InformAll, demonstrates that ‘federated' can mean different things. Federation can refer to different elements, levels and processes within the infrastructure, to governance and funding structures or to any coordinative activity. Federations are the result of push and pull factors, and in many cases the environment in which they operate can be characterised as fragmented. The report does not attempt to provide a final definition of a federated infrastructure but hopes through the variety of examples that were analysed - to help the research community to understand more about the rationale behind and the implications of RD infrastructures being federated. In times when Europe sees massive FRDI's emerge (e.g. EUDAT, EOSC and OpenAIRE, along with various national initiatives), this report may be a mirror and inspiration for future developments.